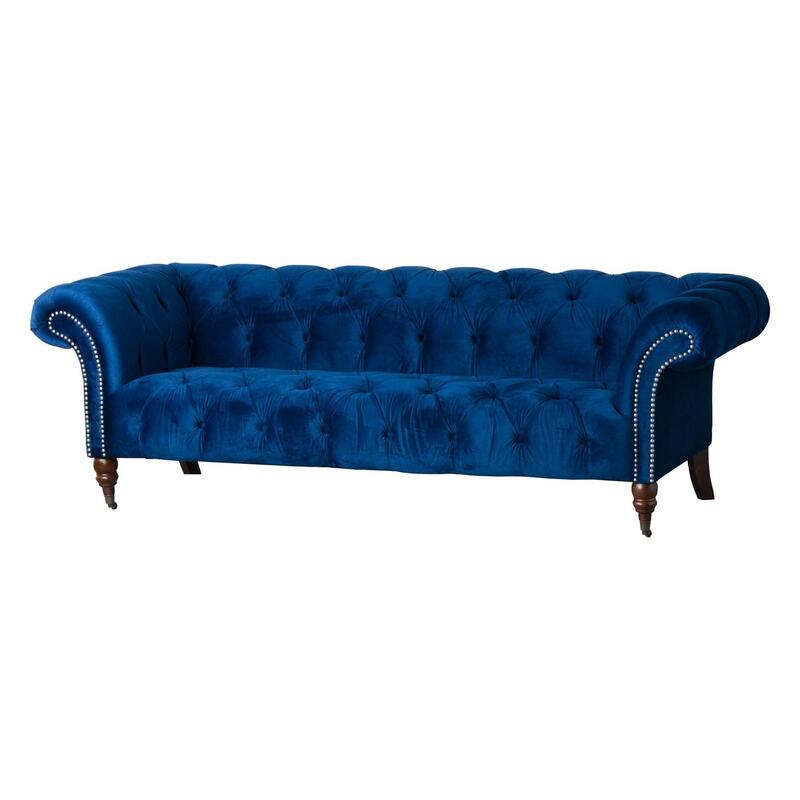 Transform any room in your home this this astounding Navy Velvet Chesterfield Three Seater Sofa. Coming in a navy blue colour and made from velvet this luxurious piece would make a statement in any home and will be sure to impress. Featuring the stunning chesterfield style with padded seats and arms for your comfort.